Reporting from Flaine. Piste conditions much better than Sunday but still a bit bumpy on piste. We must have had about 40cm of fresh snow since I arrived on Saturday evening. Visibility not good today but when we could see it was really good skiing. Off piste was very heavy and the poor vis meant it was not really an option. Cloud level was about 1800m so below the top of Tetes de Verds. Compared to what I expected before arriving the conditions are really good. @risb98, they weren't open today. But, unless there has been a huge amount of snow, they are very often not open until the school holidays. It's as if they try to 'save' that area if there is any risk of shortage of snow later in the season. 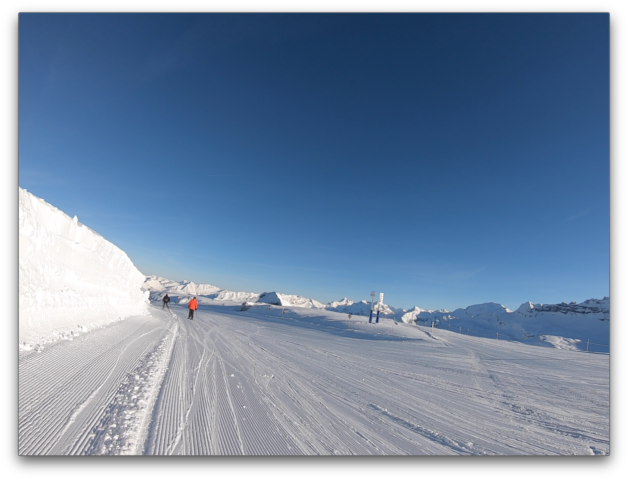 The most beautiful weather and snow conditions today, coupled with virtually empty pistes in Morillon, Samoens and Les Carroz, and quiet ones in Flaine. Set some new milestones today in Flaine....first time really using couloirs, and I've never surfed so much untracked snow, both vertical and distance. What a fantastic resort this is for off piste. Skied Samoens today and was absolutely amazing. Am not an off piste skier so can only report on the bashed pistes but it was amazingly good. Covered most of the blues and a cpl reds in Samoens before heading back down to carroz. Tomorrow set up to be as good so hoping to get to Flaine. Stunning day, cloudless and great work by the pisteurs to get all the runs in pristine condition. Last full day for us, but one of the days we all go skiing for. Tourmaline fairly bumpy by 3.30 but most runs great, and from 100% cloud yesterday to perfect visibility today. Be very careful off piste in Flaine, there’s a reason so much of it is untracked as there’s loads of really deep crevasses and holes just under the snow! 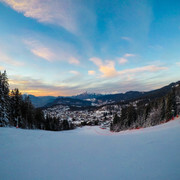 Have a look at the summer time pictures of the area as you go into the Grandes Platiers lift. Today was amazing, it was well worth the bad vis of the last few days. 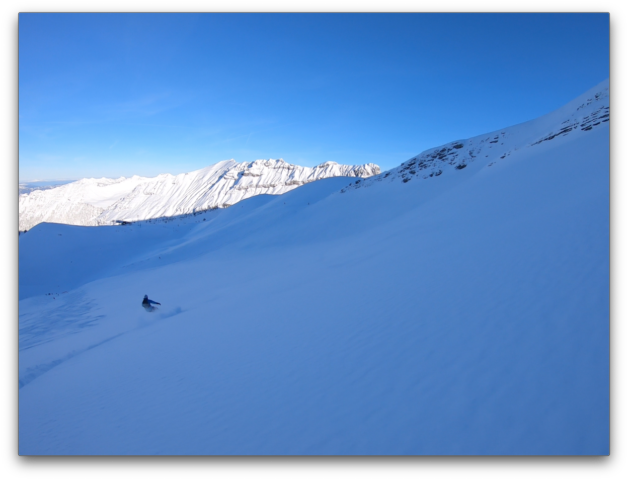 The off piste was very good, making fresh tracks off the left side of Faust across to the run under the Diamant Noir chair and down from the Pentes de Jules gulley. In the afternoon we did some cruising 'over the other side', down Portets, Chars to Coulouvrier etc. Absolutely wonderful! @4q, yep valid warning, I was aware, had all the avi gear etc. 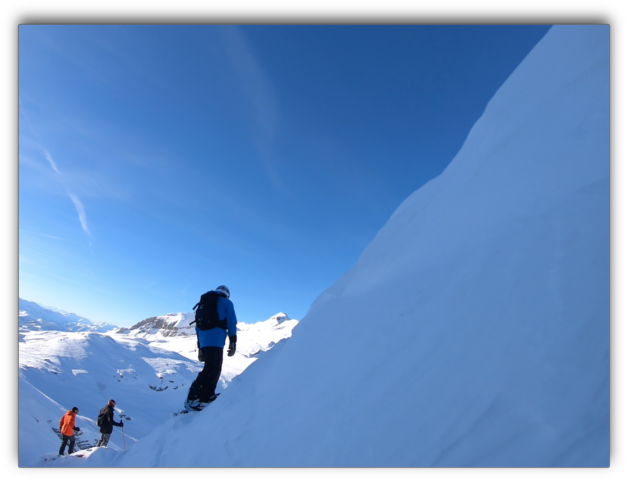 Local french guy we were with said they put a wire mesh over the holes in summer, but like all off piste, there are risks. I was glad to tick it off safely, incredible experience, but will probably spend the rest of season on meadows. @4q,Local french guy we were with said they put a wire mesh over the holes in summer. Only over the really big ones, it’s usually ok later in the season when the snow’s deeper but it’s still quite shallow in places. I’m out skiing in the Grand Massif three days a week but haven’t been over to Flaine yet this year as I hurt my knees at the PSB and didn’t want to venture too far from home, I might pop over this weekend as we’ve got friends coming and I’m sure they’ll want to explore. 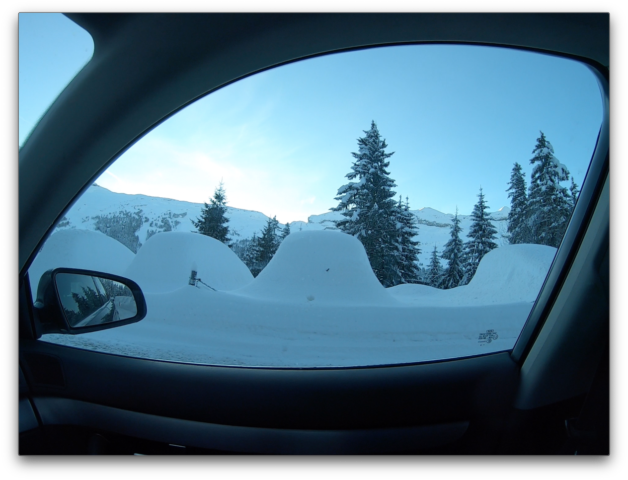 Sorry of this is slightly off topic, its been 3 years since coming to Samoens in the winter. Looking at the piste map there used to be a black (Grand Cret) and a red (velarge) from Samoens 1600 to Vercland. Looking at the map Grand Cret is now a red and velarge has disappeared. Is this to encourage people to use vercland rather than the GME to relieve queues? Have they introduced snow making on Grand Cret. Used to love both runs on a powder day, doing laps with lunch and beers in the Rep, but they were very rarely open with no snow on the lower part. Anyone know the history to this, seems a shame. The Velarge suffered a major land slide so is closed indefinitely. The Grand Cret has introduced a new couple of wide pathways to make the piste more accessible to everyone (you can still use the original piste). New snow cannons to the bottom meant that the run was opened most of last winter a huge plus if your staying in Vercland! Loving to read these reports of the last day or so. I am out on the 24th for a ladies weekend and could really really do with seeing some sunshine. @Cheesie168, so we need a snow dance followed by a sun dance!!!! Anyone skied the Colouvrier pistes yet? Are the blues still the same or have they been re-modelled? The lift was closed all the time I was out pre xmas. One of the ski instructors told me the new reds were blacks in reality and I was wondering if anyone had been down them. 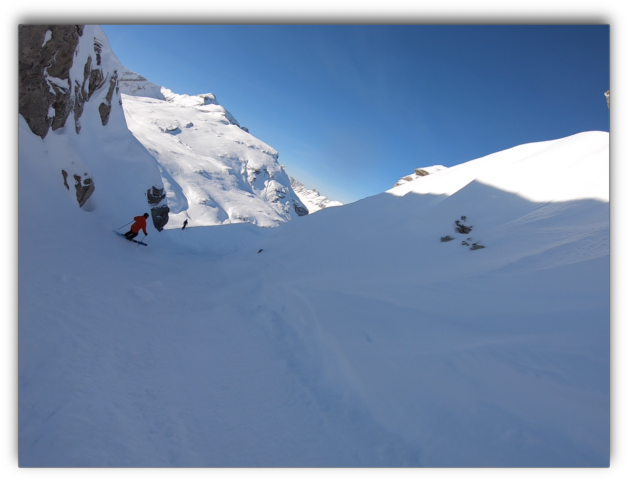 @Ghanny, Skied both sides to Coulouvrier today. The piste down from Samoens was in good condition. Forced to ski Chars (the piste down from roughly the top of Sairon) because the Tete de Saix chair was closed all afternoon. Chars was, predictably, crowded and getting very scraped/icy. The other runs planned to get down to Coulouvrier aren't open yet, apparently they need more snow. I did see a couple of people skiing/boarding under the chair, looked very hazardous! You can see the route the new runs will take and they look good. The blues are basically the same as last year, IIRC, one of the pinch spots on Chars may have been widened. Another great day, mostly sunshine with some high cloud. Cascades opened for the first time this season so that had to be done. In very good condition, off piste options at the top meant opportunities for fresh tracks, towards the bottom it was less good but no bare patches. Spent the rest of the day around Samoens and Carroz. The bottom of Timalets had lots of large marbles but higher up all the pistes were in very good condition. The Tete de Saix lift was closed, don't know what the problem was. @Chris Mason, yes that nastiest pinch point (around marker 23 or 24, I think) on Chars has been widened significantly. If you look back at it from the bottom the widening is more apparent than when you are on it. The new red from Morillon has one very steep and pretty narrow stretch which you can see from Coulouvrier, and I suspect that the ski instructor who said it was a black is right! Where exactly? Over the edge off the start of cascades? This from a couple of days ago. Not my translation. Owner of Reposette pretty certain that this is happening. Please excuse the bad translation but it gives you the general drift. Article from the Samoens Gazette today. The Vercland gondola has had its day. The device dating back to 1973 was implanted, in its lower part, on the site of the telebenne of the Fifties. The replacement of the gondola by a device equipped with detachable tugs of 10 places is programmed for 2020 This apparatus was conceived with the use of skiers, sports, but also the daily service of the residents of the plateau, and this after dark. This new installation will bring to Vercland changes in the organization of the public space. Grand Massif Domaines Skiables, taking over the management of the project, intends to modify the profile of the snow front. To gain consistency and quality on this flagship site, a real gateway to the ski areas, a modeling of the terrain will be realized, the space devolved to the expectation of skiers will be flattened, secure, open and enjoyable. It will be accessible in part from the road, meeting the accessibility requirements for Persons with Reduced Mobility (P.M.R.). No more queues of users overflowing into the car park, in direct contact with cars, in the heart of the winter season. Heading to GM for the first time next month. I’ve heard good things about Gers bowl for challenging on and off piste but see the area is still closed. Anyone know why and if/when it may reopen ? @melandnick, I would imagine either lack of snow (it's rocky) or avalanche danger, or both. No, we try to avoid pistes. It looked steeper in real life .....and quite a few rocks to navigate at the top. Just lapped the bowl to right of DMC, taking the various gullies along the top. Here's the spot with my Argy mate on his new Cheetah, I tried it out briefly, amazing how it pulls you thru the carve. @Ian_86, currently chucking it down with snow in LC. @Chris Mason, @sj1608, good insider info on the new runs down to Coulouvrier, thanks. @Ghanny, I am really pleased you posted that. I am bringing over some competent but nervous / careful skiers, next weekend, so having heard that will aim to ski those runs first myself at Easter before suggesting it to friends. I will no be popular if I say, it is a solid red and then it turns into carnage! Bon ski for all those heading out this weekend. Forecast looks promising. Just saw this on the GM social media - for those skiing around today/tomorrow it is important to know. 2 minutes de silence seront observées et nos installations à l'arrêt, en hommage à nos collègues et amis Bruno et Freddy ! 2 minutes of silence will be respected and our installations stopped, in tribute to our colleagues and friends Bruno and Freddy. i bought some ski passes for the grand massif for friends who can no longer come out so am offering them for sale - £28 for a 1 day pass (i have 6 available). the standard price is €47.90. please message me if any interest or delete if inappropriate place! 2 one day passes left now! Getting fresh tracks in 6 - 8 inches at top of Tete de Saix down to Samoen this morning, very quiet. Got busier in afternoon. Snow good above Gron lift level at Carroz side, lower than that has some firm or spring-like patches but haven’t seen any real ice. Passes now all sold, thanks for interest everyone!